Sharing petitions on Facebook. Calling out politicians on Twitter. Posting article screenshots on Instagram. Most of us have done these things and felt good about them, but do they really have an effect? The unfortunate answer to that question is: not really. Digital activism, despite how involving it might feel, accomplishes very little on its own without accompanying real-world action. Look at the tactics used during the American Civil Rights Movement, arguably the most successful collective action movement in American history. There was a place for pamphlets, articles, and inspiring rhetoric; Dr. Martin Luther King Jr’s 1963 speech on the national mall will be remembered forever. But the speech wasn’t delivered to the grass—it was delivered to the 250,000 protestors who came out to march on Washington. The protestors understood that their physical participation was the only way to bring about change. It was the same way with the additional actions Civil Rights protestors undertook, such as the Freedom Rides to integrate illegally segregated buses or lunch counter sit-ins to challenge segregated restaurants. These protestors, the vast majority of whom were Black, put their safety on the line and faced down racist mobs in order to accomplish their goals. There are plenty of more recent examples, too. The Black Lives Matter movement has successfully brought awareness to racist police violence in the United States, confronting the overwhelmingly white American news media and forcing them to acknowledge the existence of the problem. Through coalition-building, they have also brought about the electoral defeat of several district attorneys and prosecutors who were complicit in police violence. In 2019, teachers’ strikes have taken place across the country, successfully striking back against charter schools in California and raising wages in West Virginia. At every point in American history up to the present moment, the citizens who succeed in effecting positive change are the ones who go out and commit to physical action. Unfortunately, digital activism on its own cannot be classified as physical action. 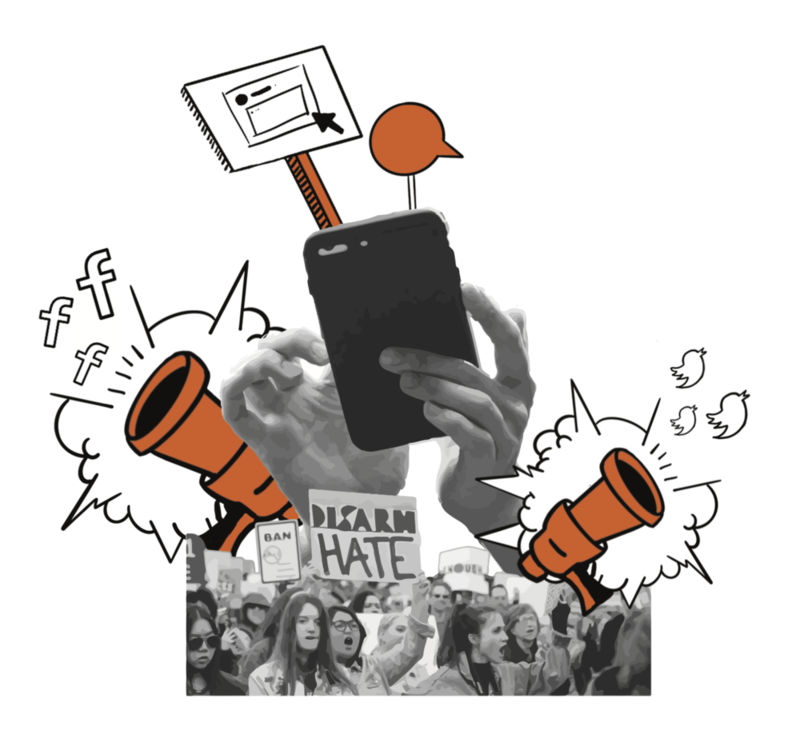 In fact, digital activism can have a detrimental effect on physical action—people expend their energy through Twitter outrage and end up failing to attend real-world events. Worse, the time-sucking nature of platforms like Facebook and Twitter means these companies profit off of your outrage through the sale of data. All of this is not to say the Internet has no place in activism; on the contrary, it absolutely does. However, it must be combined with real-world activity to have any kind of tangible effect. Returning to Black Lives Matter, a key reason for their success was their ability to build a new and extremely powerful digital infrastructure for organizing protests. Teams of organizers were able to quickly set up protests and distribute information to large numbers of people, resulting in massive protests very close to the location of the events the activists were protesting. The most notable local example was the Mall of America shut down in 2015 to protest the police shooting of Jamar Clark. This digital infrastructure has been adopted by other groups with extreme effectiveness—the Women’s March in 2017 was the largest single-day protest in American history, with between 3 and 5 million participants. This all goes to show that, in terms of mass protests, the Internet is an extremely powerful tool. There are other creative ways to use the Internet to effect real-world change as well. Recently, a group of high-school students from Upstate New York began a Twitter campaign to draft the retired Alaska Senator Mike Gravel,famous for his anti-war stances and for reading the Pentagon Papers into the congressional record in the 1970s, into the 2020 Democratic debates to change the national conversation. At the time of writing, a parliamentary petition in the UK to cancel Brexit has passed a record-shattering five million signatures, accompanied by massive protests. When used correctly, the Internet is a powerful tool for social change, and it can make a powerful mark on the world—just not in isolation from reality.